Amateur sleuth Madeline Donovan is riding the rail to the picturesque city of St. Augustine. This trip is intended as a respite from a grueling murder case that had come to its conclusion. But even on the train, Madeline learns of the young, wealthy woman Emma whose beaus are mysteriously disappearing. Soon she will find herself immersed in a city that is keeping secrets. Secrets so deadly that when discovered will not just shock her and her comrades but a nation. 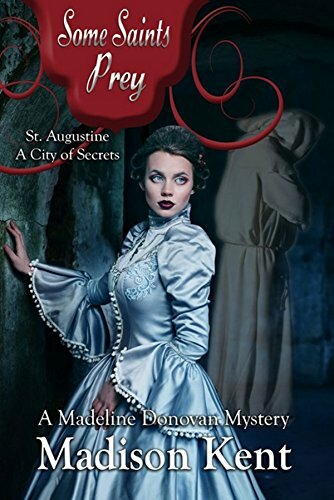 Join Madeline and her closes friends Hugh Scott and Jonathan Franks in historical Florida as she tries to unravel why no one in St. Augustine is talking.